I’ve long been a critic of the Olympic Games for many reasons. 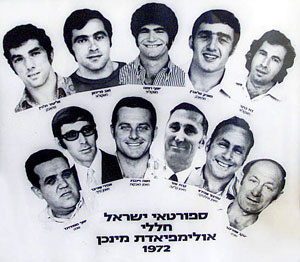 Among them is the repeated refusal of the International Olympic Committee to memorialize the Israeli Olympic athletes who were slain in cold blood in Munich in 1972, by Palestinian Islamic terrorists–terrorists who were paid for their “efforts” by current Palestinian Authority Prez Mahmoud Abbas a/k/a Abu Mazen. Check out the video below of me on CNN during the Olympic Games of 2002, in which I voice my disgust. The IOC doesn’t want to offend Arabs and Muslims. This is the world we live in. They don’t want to offend Nazis, just like they didn’t want to offend Nazis in 1936, during the Hitler Games. Well, the organization has never evolved from its fascist, anti-Semitic bent. But, hey, at least they are consistent. 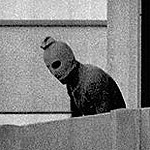 This week, the city of Munich–where the Israeli athletes were murdered and the incompetence of the German and Munich law enforcement authorities was a huge contributing factor (including their refusal to allow the Israelis to take control of the situation)–announced its intent to bid for another Olympic Games. But the Olympic Games, as I’ve repeatedly noted on this site, still refuses to memorialize the Israeli athletes who gave their lives for these money-grubbing, politically correct sports bureaucrats. It’s disgusting. 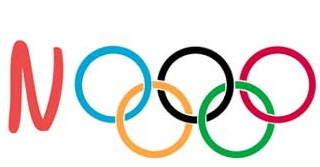 Vashaviak added that the Israel Olympic Committee has excellent relations with the German committee and that he believes that if Munich wins the bid, they will agree to hold the ceremony. Anke Spitzer, widow of Israel fencing coach Andre Spitzer, told the Jerusalem Post on Tuesday that if Munich wins the bid and the IOC agrees to hold the memorial ceremony she will attend the 2018 winter Olympics, and if they disagree, she will do whatever she can to ensure the games aren’t held. Exactly. Well past time for the Israelis who died at the Olympic Games to get their memorial. It’s been 38 years, and in that time, the only thing that has happened is that the Palestinian Islamic terrorists who committed this massacre were rewarded with a UN delegation, then two masses of land in Israel, and tons of other international and U.S. recognition. When will the murdered athletes get their due? The bureaucrats who run the Olympics are in no small part responsible for what happened to the athletes in their care in 1972. They have blood on their hands. The Israeli Athletes Gave Their Lives for the Olympics . . .
Let’s take a few steps back, Deb. The history of the games is worse than you portray. The Avery Brundige (Sp?) was the head of the U.S. Olympic team in 1936. So as to not offend Hitler, he kicked all of the Jewish athletes off the team. Meanwhile, Hitler had two Jewish athletes (for show, of course), on the German Olympic team. Fast forward to 1972. The person who demanded that the games go forward over the dead bodies of the Israeli athletes was Avery Brundige. The Israelis should not wait for a ceremony for there lost countrymen. They should be carrying the pictures, held up high, in the Olympic March, with a banner explaining who killed these men. The Israelis themselves need to grow a set. JG: Actually, I mentioned the 1936 Games in this post and I’ve mentioned the whole thing with Brundage and the Jewish athletes on this site previously. Debbie, I’ll have to break with you on this one this once – and I admire everything you’ve written on the subject but Jon is right. 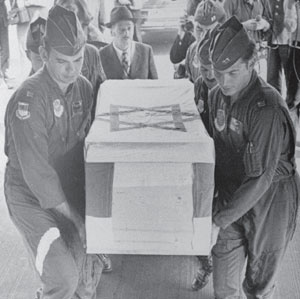 The 1972 Israeli Olympic athletes who were murdered are never going to receive the recognition that is their just due if Israel sits around waiting for it. Its time to push it in the IOC’s faces regardless of whether it offends the Arab and Muslim nations. Israel needs to stop being diplomatic and stop explaining everything like it sounds like an apology. Melanie Philips is right Israel is losing the war against the Muslim World by playing defense. Its time to change the rules and more importantly, to remember power never concedes anything without a demand and never will. And Jon, a personal word of things for your help to Debbie on the CAIR-Michigan lawsuit. It won’t be forgotten! You really tell it like it is…! You, GO, girl! Memorialising slain Israeli athletes offends Arabs and Muslims. But Arabs/Muslims killing Israeli athletes doesn’t offend anyone, I see. It seems clear to me that the world is being divided into those who are permitted to kill / murder without verbal and written media criticism of that action versus those who are allowed to be killed / murdered without an avenue from which to express their verbal and written outcries about the situation. Perhaps it is time to restructure the world into those areas that wish to be barbarians and into those areas that do not. Specifically, let the barbarians take sole possession of the lands they occupy and, perhaps, lands they seek to occupy. The rest of us will occupy the lands we desire. I believe in Western technology, manufacturing, science, etc. The barbarians who are ruled by barbarian leaders will have to decide how they want to live and where. The “kumbaya” idea is DOA. All cultures are NOT EQUAL. Those who “can”, do. Those who “cannot”, do not. So, let the “cannots” evaporate in their waterless deserts, frigid mountains, and barren wastelands while enjoying the poppy field opium they produce and, thus, fade into non-existence quietly and by their own doing. Le monde va de lui-meme…c’est la vie. Israelis, consider moving to the U.S. WE WANT PRODUCTIVE PEOPLE…eventually the sun will set for those barbarians who do not want to recognize the future and still cling to the ancient past. Finally, all Western enablers of barbarians and their actions should note that you will be relegated to history’s dustbin in ignominious obscurity and despised notoriety and only referenced in the minor footnotes you will have earned for yourselves. NEVER FORGET. NEVER AGAIN. it, except drop out of the Olympics. They won’t be missed. I am so sick of Israeli propaganda, like this drivel, flooding the internet etc. Everywhere you go are lying Jews. Please don’t think that because many Americans don’t reply to your filth that we believe it. Your constant whining is disgusting. You are simply making worse for yourselves. Jews need to shut up, pack their bags, and hightail it to Israel. Hey Big Goyim, send you’re ultra anti-semitic hatred for stormfront or VNN forum, it’s not welcome on this blog you bigot! And while were at it Big Goyim, since you mentioned Israeli propaganda, on the internet, what about islamic propaganda that’s flowing across the internet and some media outlets! Have you heard of “Al-Jazzera” network? To me that’s an islamist propaganda media outlet that’s pretty anti-semitic like you pal. And are you also saying that pro-zionist websites and blogs should be shutdown and silenced? I’m not going to say that pro-islamist/dhimmi websites and blogs should be silenced, because that’ll be against their first amendment rights, just it’s un-constitutional to try an shutdown/silence pro-zionist outlets or any type of media outlet, blogs or websites!